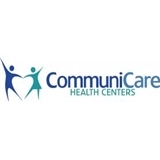 CommuniCare Health Centers (San Antonio) - Book Appointment Online! CommuniCare Health Centers is a full-service primary healthcare system with 12 locations serving Bexar, Kendall and Hays counties. We offer an array of services including pediatric medicine, family medicine, senior care, women's health, dental, behavioral health, minor surgery, and WIC services. Specialty services are offered at some locations in conjunction with our partners for vision care, hepatitis care and general surgery. We provide integrated primary care delivered by highly-trained healthcare providers, utilizing state of the art diagnostic equipment and electronic health records. Extremely helpful staff. Professional environment, everyone is always very welcoming! First doctor that actually helped me fix my problem. Very nice and friendly! I would highly recommend! we love Dr. Roeder! She’s so patient, kind and always listens to our questions (which as a first time mom-we have a lot). She explains everything in a way that you can always understand! We love her so much that she’s the reason we began to come to this office! Esta práctica ve a los pacientes en 14 locations.